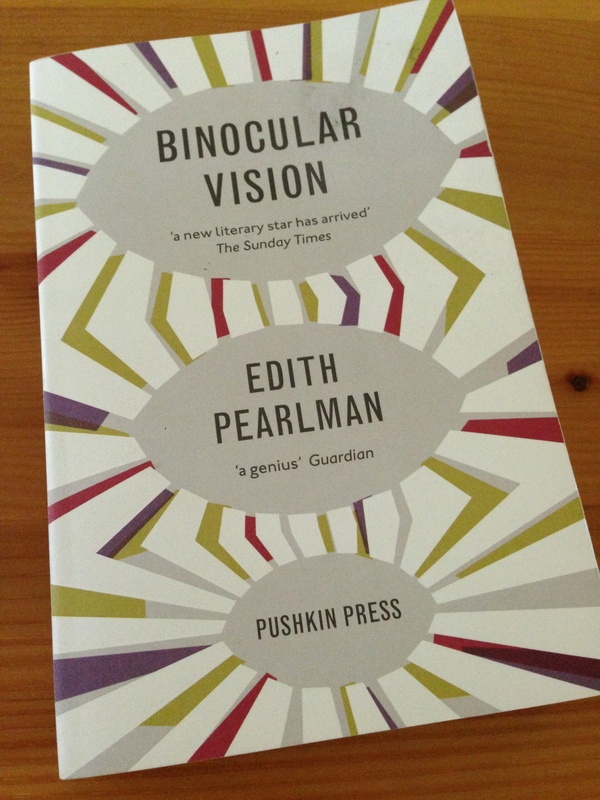 Binocular Vision: New and Selected Stories is a collection of short stories by the American author Edith Pearlman. I can’t recall exactly when I first heard of this writer, but it was a year or so after her collection won the National Book Critics Circle Award for fiction (an American literary award) in 2011. Pearlman’s career in writing spans four decades and over 250 of her short stories have been published in magazines, literary journals, anthologies and online publications. I’ve often seen her described as one of literature’s best-kept secrets or undiscovered greats, but I’m so glad to have found her through this excellent collection of stories, published in the UK by Pushkin Press. Binocular Vision contains a total of 34 stories, 13 of which are new to this collection. Many of the stories are set in the fictional suburb of Godolphin, Boston, but others take us to Central America, wartime London and Europe. We meet a young girl separated from her parents, lost in an unfamiliar place; a former US army officer returned from the Second World War, only to find himself battling against cancer; the owners of a second-hand toy shop, a couple who have experienced great sadness in their past – so many individuals, too many to mention here. Photographs lined the passageway from kitchen to bathroom. Snapshots, really, but blown up and matted in ivory and framed in sliver as if they were meant to hang in a gallery. All were of the same child – blond, light-eyed. At two she was solemn, in a draperied room, sharing a chair with a rag doll. At four she was solemn against the sea; this time the doll was a naked rubber baby. At six she smiled, clutching Raggedy Ann. At eight the girl with her Barbie stood straight as a stick in front of a constructed pond – could it have been the one at Luxembourg Garden? Slatted chairs, smoking pensioners, and a toy boat siling off to the right. If you haven’t already discovered Edith Pearlman, I hope I’ve managed to convince you to give her a try. Binocular Vision is a real treat, a collection I can see myself revisiting during the coming months. Binocular Vision is published in the UK by Pushkin Press. Source: personal copy. This entry was posted in Book Reviews, Pearlman Edith and tagged #ReadWomen, #ReadWomen2014, Book Review, Edith Pearlman, Fiction, Pushkin Press, Short Stories, US on July 8, 2014 by JacquiWine.